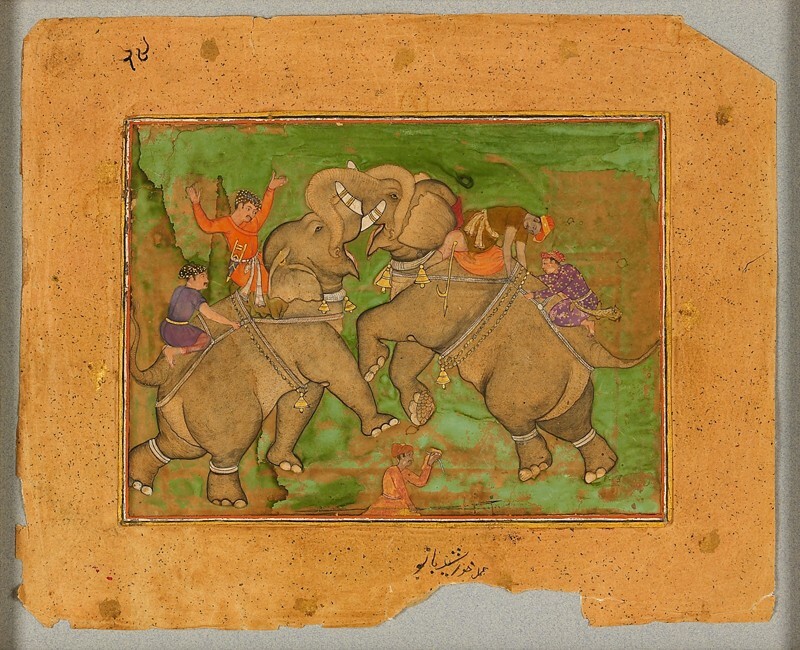 Elephant fights were a popular court entertainment in Mughal times. 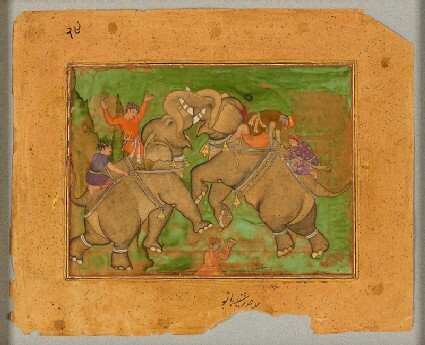 Here a tussle between elephants is becoming lively, as the mahouts urge their beasts on or hang on grimly to the harness ropes. Unusually this painting is ascribed to a woman artist, Khurshid Banu. 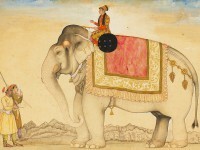 Several ladies of the Mughal imperial household are known to have been skilled painters.